You are making a great mistake if you think that business letters are outdated. In the business world, letters are actually still crucial for collaboration and communication between two or more parties. They are used to express views and communicate ideas during business activities. Businessmen also take advantage of such correspondence in order to establish a lasting relationship within organizations. Being able to write effective business letters supports your career growth and job stability. 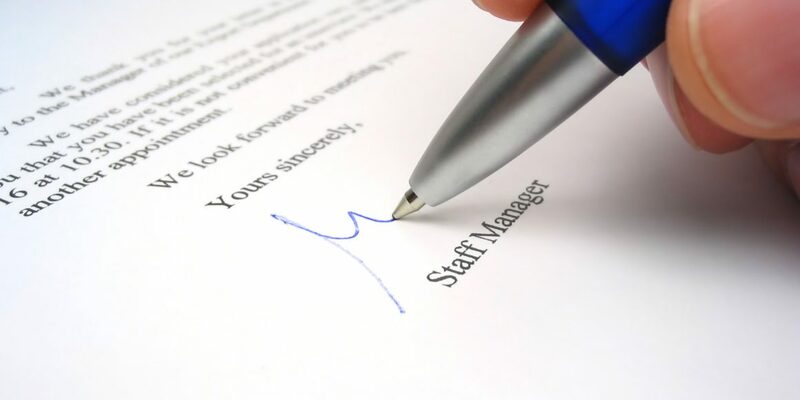 Here is a useful tutorial on how to write a business letter that won`t get ignored. Company letterhead. Most business letters are written on letterhead stationery that includes the website address, street address, company name, telephone number, and fax number. Current date. Start with today`s date. In any case, don`t pre- or postdate your business letter. Inside address. Include the basic information about the recipient. Salutation. In the majority of cases, the salutation should be the personal title and family name of the recipient followed by a colon. Opening paragraph. Directly express the purpose of your letter. Explain why you are writing. Body. Convey your message. State the specific information regarding your purpose. Write it in the blocked style. Closing paragraph. Gracefully conclude your letter. This conclusion can include a request for action, a polite comment or an expression of goodwill. Don`t forget to express appreciation when asking for something. Complimentary close. You can use a variety of closures: Yours truly, Sincerely yours, Sincerely, Best regards etc. Written signature. Write your signature in blue or black ink. Always type your name and possibly your job title below your handwritten signature. Inner qualities of a well-written business letter include neatness, courtesy, relevance, completeness, accuracy, clarity, and simplicity. Quality of paper, envelope, folding of the letter, size of paper, and color of paper refer to the outer qualities. Let`s get inside all these things by leaning the following recommendations. Focus on how the content of your letter will benefit your reader. Open your business letter with an engaging question, unexpected declaration or problem statement to capture your reader`s attention. Always remain professional. Be polite and courteous even if you are writing a complaint letter. Don`t be vague about your objective. Present it in a clear and concise manner. Address readers directly as ‘you’. Avoid using first person pronouns when possible. Remember that such writing basis as grammar, punctuation, and spelling impact the effectiveness of your business letter. Proofread it carefully. Pay close attention to appropriate word choice and emphasis and de-emphasis techniques since they are key writing principles. Try to express complex ideas with words that your readers understand. Know the depth of detail your reader needs. Be careful not to include unnecessary details. Make sure that your letter isn`t an endless series of short, choppy sentences. Organize the information in the most effective sequence. Each section of the business letter should follow logically from the one that precedes it. What Red Dead Redemption 2 Is Going To Offer Its Players?